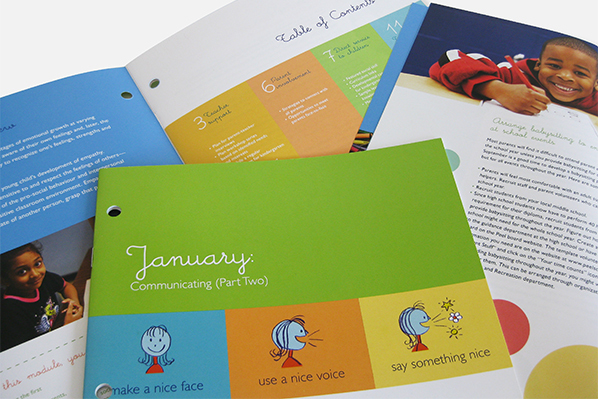 The design of the guide is based around monthly units throughout a school year. 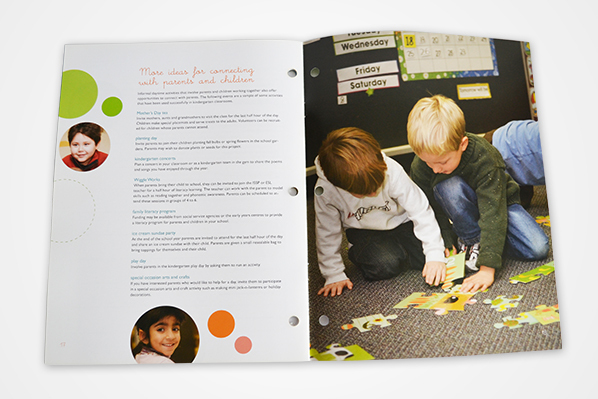 It contains action plans, activity components, and a featured skills set. 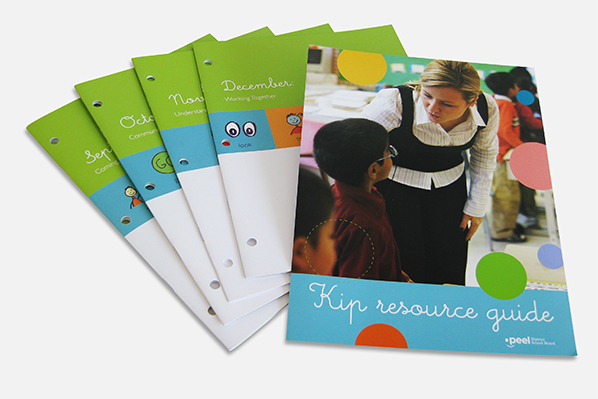 Visuals cater toward teachers and appear fun and positive. The challenge was to create something that teachers would want to pick-up and use. 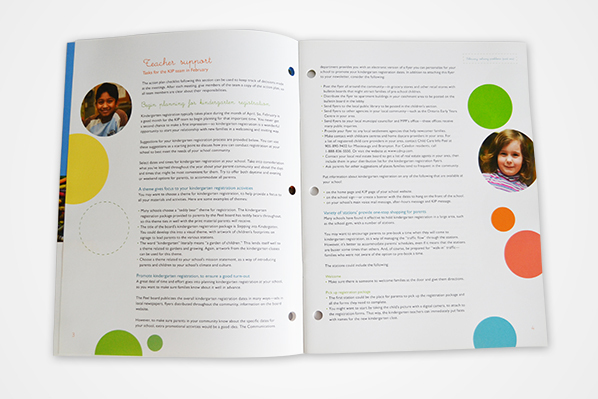 With a playful font, rounded shapes, and a clean colour palette, the pages have a sense of energy and movement. 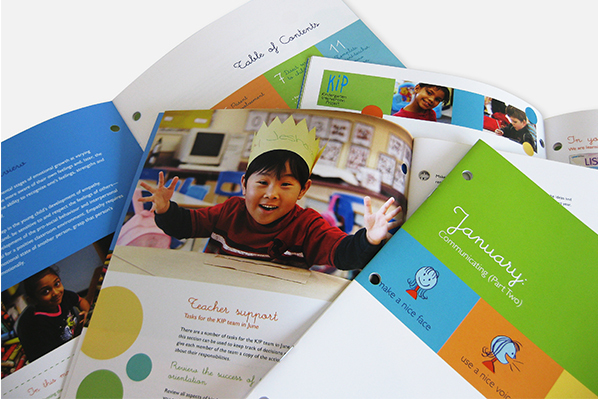 No detail is overlooked as an opportunity to engage the reader. 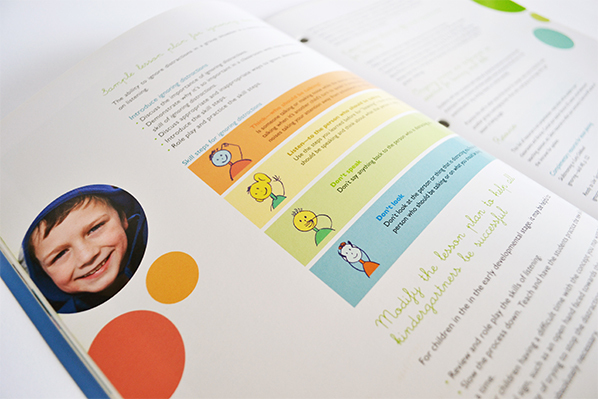 Images of children learning provide an identifiable setting for the activities and classroom practices within the guide. 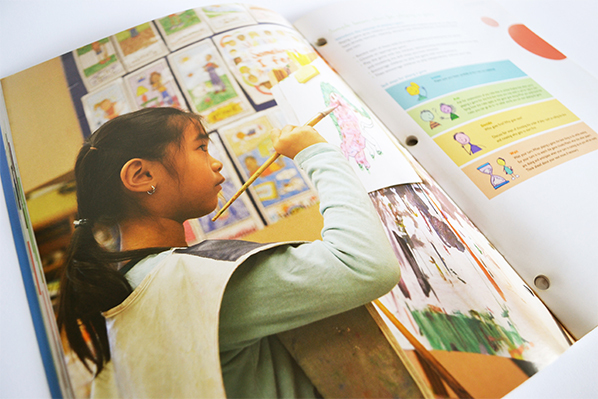 The images also reflect the cultural diversity of the school board, which helps teachers connect to content.